If there’s anyone who needs a break, it’s mothers. Ganjapreneur Erin Gore, CEO of Garden Society, has built a career revolving around women and moms. If there’s anyone who needs a break, it’s mothers. That’s because having children is no walk in the park, especially when you’re new to the parenting life. But when you have to deal with pain, lack of sleep and stress on top caring for a little one, motherhood becomes that much more grueling. Ganjapreneur Erin Gore, CEO of Garden Society, has built a career revolving around women and mothers. But now that she’s expecting her first child, she’s soon going to discover firsthand why so many moms are medicating with cannabis for relief. The center of Erin Gore’s career is connecting women and mothers with cannabis. So she’s certainly no stranger to the herb’s medicinal potential. But in a matter of weeks, she’s about to discover for herself why so many moms are medicating with weed. If her name doesn’t ring a bell, here’s a little background information. 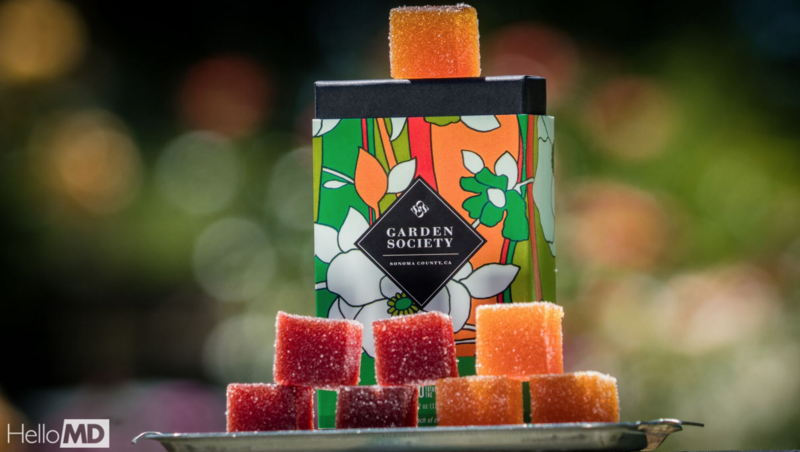 Erin Gore is the founder and CEO of Garden Society, a Sonoma County, CA-based edibles company. Their mission is to deliver balance to the lives of women and moms through high-quality, low-dose confections. Erin also happens to be expecting her first child. Although she has taken a brief break from the herb during pregnancy and is also refraining from using when it comes time to breastfeed, soon Gore will welcome it back into her life. And when she does, she will be a new mom. I already use cannabis a lot to help me sleep, so as a new mom with a start-up business, I imagine that’s probably where I’m going to need it the most. Between lack of sleep and stress and anxiety management… having little kids is difficult. Besides a good night’s sleep, there is a bundle of reasons why new moms are turning to cannabis. And parents in general. In fact, during 2016, Civilized put together a poll that revealed that 51 percent of cannabis users had children under the age of 13. And 27 percent had children between 13 and 17. If you micro-dose [cannabis] for sleep instead of taking some prescription pill that knocks you out cold for eight hours, you can wake up and be safe and be of present mind if you need to go to the hospital or something else happens. One of the concerns we hear a lot from mothers is: ‘am I going to get high?’ or ‘are my children going to be able to access the product?’ They want to know what it means for their safety and the safety of their children. If we can show them healthy options that are safe and effective and can help them manage the stress in their lives, I think it’s just a win-win for everyone.